Operation Market Garden Highway to the Reich is a tactical simulation of the largest airborne operation in history. 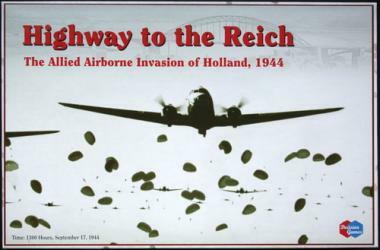 Over 35,000 men belonging to 1st Allied Airborne Army dropped from the skies of Holland. Their objective: capture and hold a highway. The result: a salient into German territory that lacked only the last objective, and was thus a tragic defeat. 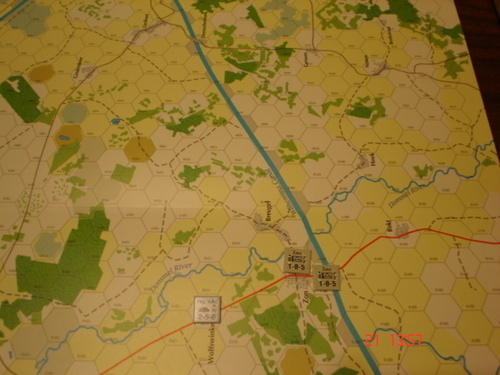 The 2,000-plus counters detail Brereton’s Airborne Corps of three divisions, the units of Brian Horrocks’s 30th Corps, and Model’s scattered and disheveled forces at company level for infantry; battery level for artillery, anti-tank and anti-air; and troop level for tank and armored cars. 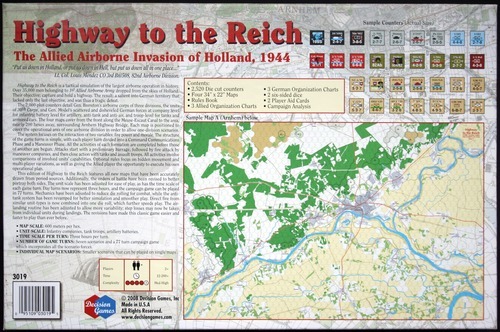 The four maps cover the area from the front along the Meuse-Escaut Canal to the land, nearly 200 hexes away, surrounding the Arnhem Highway Bridge. 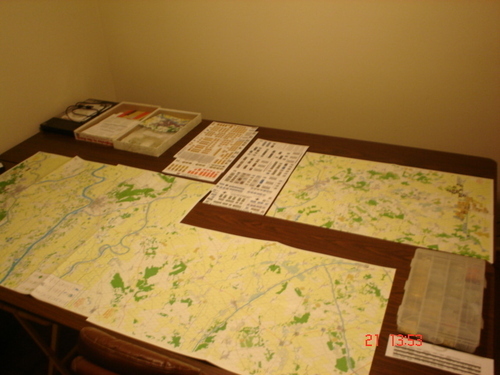 Each map is positioned to cover the operational area of one airborne division. That allows one-division scenarios. The system focuses on the interaction of two variables: fire power and morale. The structure of the game turns is simple, with each player turn divided into a Command Communications Phase and a Maneuver Phase. All the activities of each formation are completed before those of another are begun. 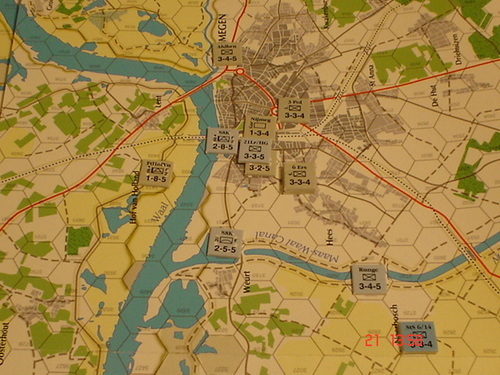 Attacks proceed with a preliminary barrage, fire attack by maneuver companies, and then close action with tanks or assault troops. All activities involve comparisons of involved units’ capabilities. Those variables create the framework within which the players operate. 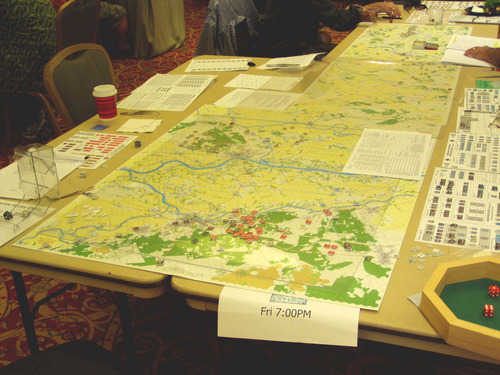 Optional rules focus on hidden movement and multi-player variations, as well as giving the Allied player the opportunity to execute his own operational plan. Contents: 4 22x34 inch maps 2,520 counters, rules & scenario booklets, full-color organizational charts, and player aid cards, 11x17x2 inch box.